Yesterday was a dull day so walked the Cornish coast instead of taking photos. Nice day for walking, not too warm. 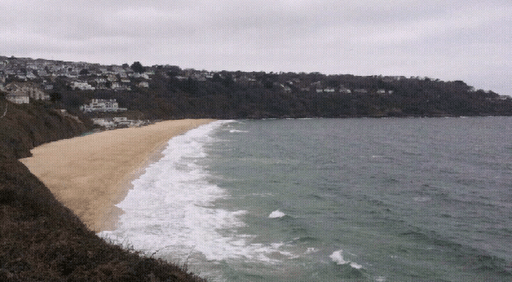 Started near Hayle and walked along beach then cliff tops to St Ives and back. About 9 miles. Lots of Sandy beaches, lots of people in St Ives but few on coast walk. Lots of up and down. The 2 pics are St Ives Harbour and Carbis Bay. Checked out some locations for today as forecast good. Then fish and chips on the front at Marazion looking over the sea to St Michael Mount. Stopped for a drink in Hayle; St Austell Dartmouth Bitter followed by an HSD. Latter best of the two. Today was a bright day by 9am. Blue sky with a few clouds by the afternoon. 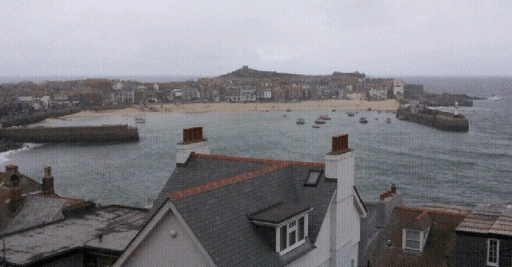 Parking car is tricky in lots of these Cornish towns so Jan dropped me off to walk around St Ives. Quite a few harbour shots, not many boats. We drove down to Marazion and I walked down to the shore east of the village. Good view across to St Michaels Mount well lit by morning sun. I was engrossed in taking photos and suddenly realised I was within 3 feet of 4 Turnstones (waders) then as I looked behind me I spotted another 14 of them, again just a few feet away. They stayed close by as I took my last few shots. Next was Penzance Harbour, some with St Michaels Mount in the background. Then Mousehole harbour, the prettiest of them all but a bit busy. Still managed some nice shots. I needed some bright shots of Lands End so this was our next stop. Nice rocky islands just offshore and a sea arch or two. Last stop was Sennen Cove, a mix of sand and rocks, and lots of people. I took a few around the breakwater wall and rocks then called it a day. Time to go home. It was almost 4pm and our journey would be over 6 hours. Will try and process films tomorrow after shipping an order I printed on Thursday. I took 13 rolls of Ilford FP4 so should have a few to choose from, so watch this space! It's a lovely stretch of countryside. I look forward to seeing the results.